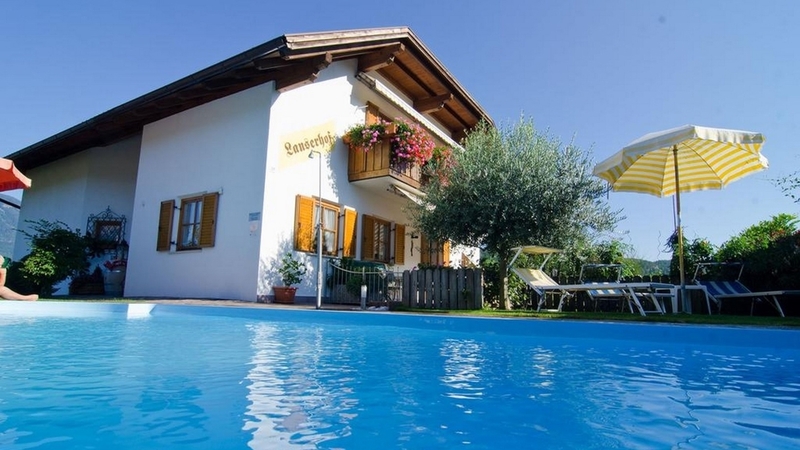 Farm holidays at the South Tyrolean Wine Route, inviting rooms and apartments, bread service in the morning, garden with pool and sunbathing lawn, our own wines & much more! 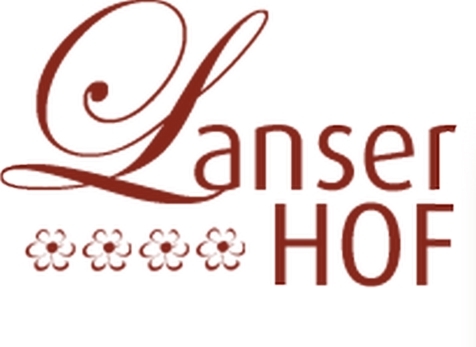 Welcome at the Lanser Hof in Girlan on the South Tyrolean Wine Route! The Lanser Hof of the Reiterer family is located in Girlan on the renowned South Tyrolean Wine Route and is surrounded by numerous vineyards. Our farmhouse is the ideal accommodation for a relaxing vacation within the nature, away from the hustle and bustle of everyday life. Our house offers a scenic view on the city of Bozen and is situated near the picturesque village of Eppan. We welcome our guests to a double room and 4 inviting holiday apartments, which are very comfortable and furnished with a lot of passion for detail. Every apartment features an eat-in kitchen with dining area, couch and fully equipped kitchenette with coffee maker and dishes. At every holiday apartment you will be able to dispose of a satellite TV, radio, safe, hairdryer, bedclothes, bath and dish towels, hiking guide books and maps as well as beds for children. We also offer a daily bread roll service in the morning. After a hiking, mountain bike or cycling tour you will be able to relax in our garden with swimming pool and sunbathing lawn and just enjoy the sun. The fun and entertainment of our smaller guests is ensured by our playground featuring a swing, a sandbox and Ping-Pong table. The adjacent forest and the numerous orchards and vineyards are perfect for a romantic walk. Our guest will also be able to use our bike rental service featuring brand-new mountain bikes. Motorcyclist and mountain bikers are welcome to use our garage. On request, we organise culinary evenings as are our home-made wines and the apple juice from our farm are particularly popular. In summer we recommend a visit to the beautiful Montiggler lakes, which are among the most popular bathing lakes in South Tyrol.